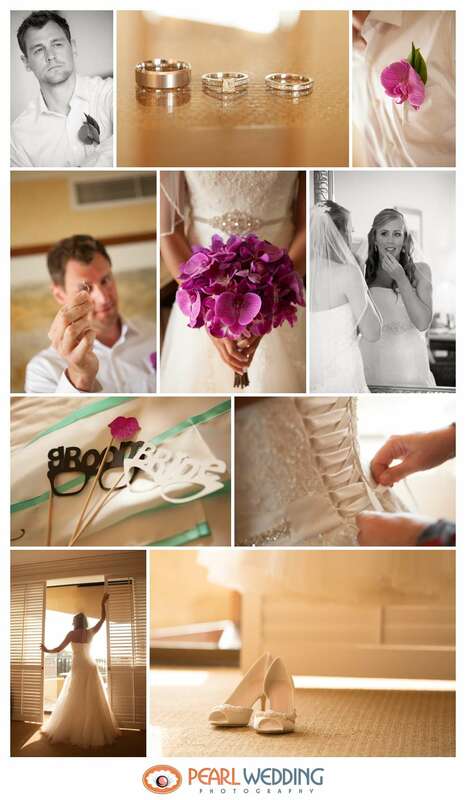 We are so excited to share a few layouts from Ashley and Mike’s wedding album! This wedding is another one of our absolute favorites and it was a very special one for us to be a part of. We have known Ashley since she was a teenager and it was so special to be there to capture every moment of her wedding day for her. The King Kamehameha Golf Club hosted the ceremony and reception. Ashley and her bridesmaids hand made some of the most beautiful bouquets we’ve seen! They coordinated perfectly with the rest of the wedding, not surprisingly as Ashley is one of the most organized brides we know! The views at the King Kamehameha are unrivaled for Maui, and the reception hall is the perfect place for an after party. This was one of the biggest weddings we’ve done and it was so much fun, everyone there had an amazing time. We had so much fun putting this album together for Ashley and Mike and we can’t wait for them to see it in person! The album they ordered is a Graphistudio Primo album with a beautiful coffee table box. They chose warm grey maple and yellow linen for their box, these colors go perfectly with the theme of their wedding. They picked over 200 images for their book and we were able to use all of them! 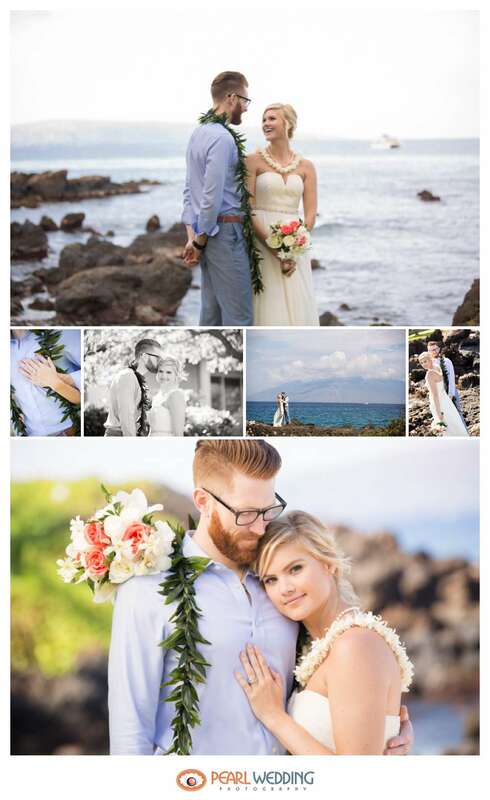 Jennifer and Craig wanted a picture perfect wedding set in a Hawaiian paradise. Luckily that’s exactly what the Four Seasons in Wailea offers. 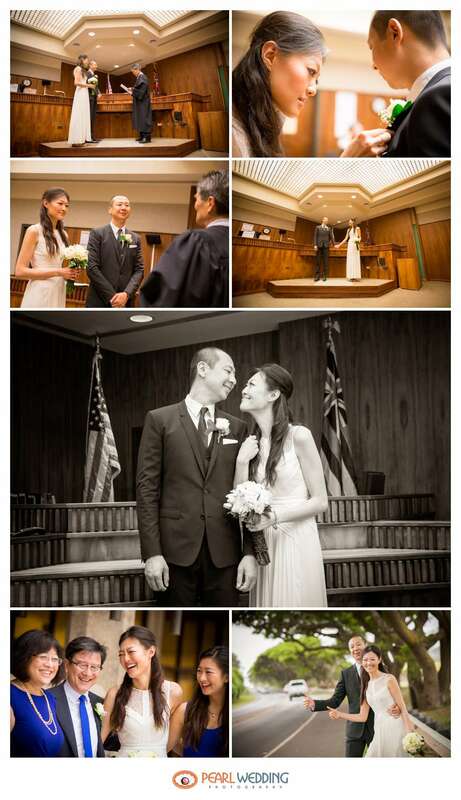 We love intimate weddings like this one and we were so happy to photograph this couple’s special day. We absolutely loved the details in this wedding, from the fuchsia bouquet and boutonniere, to the bride and groom photo booth props. 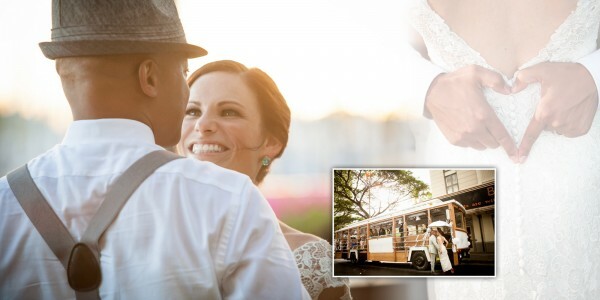 This couple loves to have fun and made no exception of that on their wedding day. 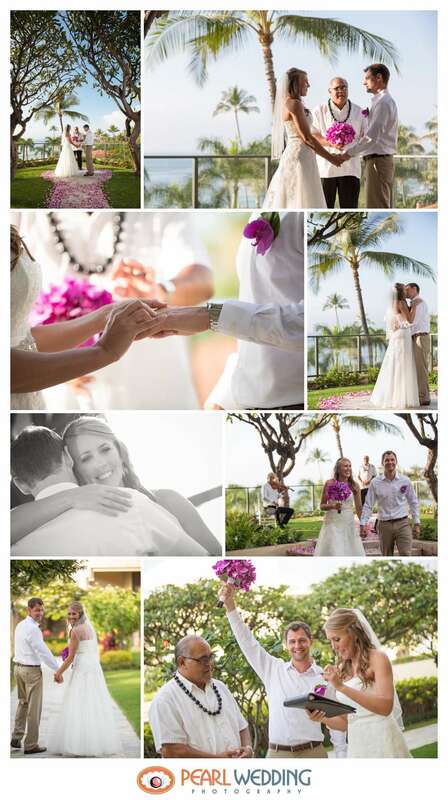 The ceremony was held at Plumeria Point at the Four Seasons. With it being just the two them it was such an intimate and romantic ceremony. They decided to continue with the private wedding theme and sat down to dinner set for two. 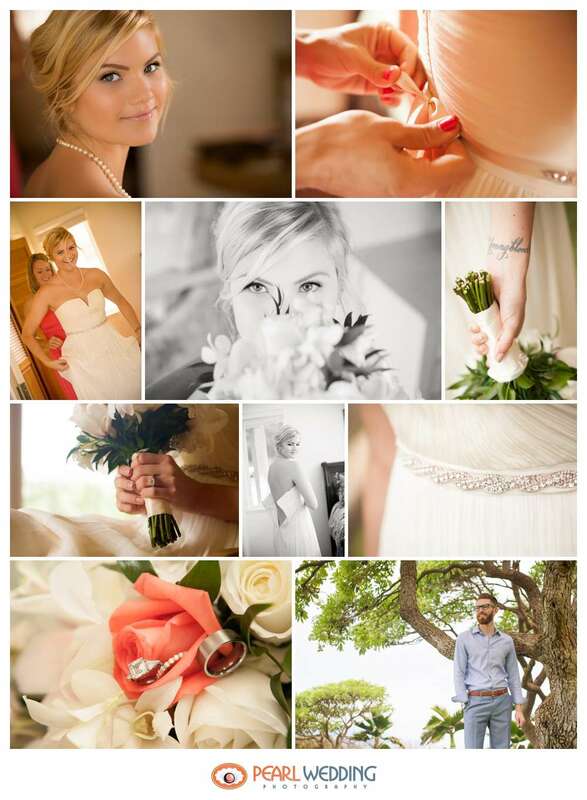 We were happy to hear that Jen and Craig plan to share the slideshow we’ve made for them at their reception back home. 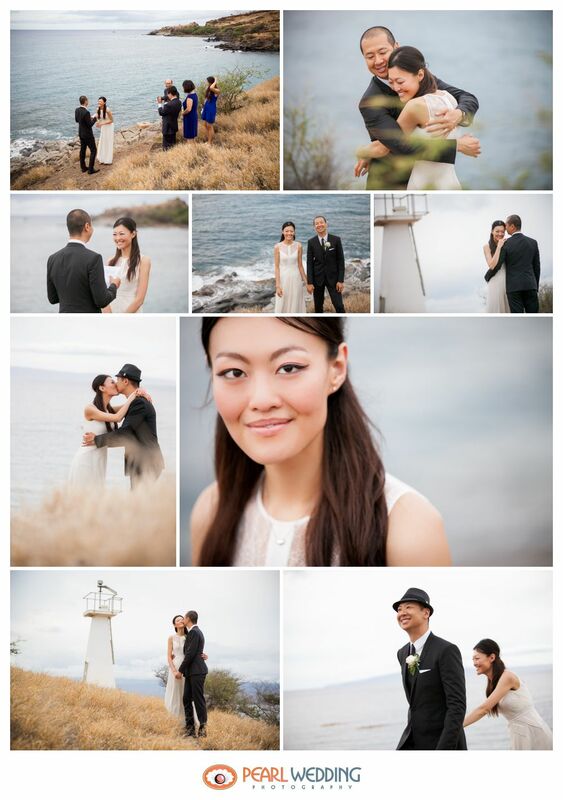 These two were such fun to work with, and we wish them every happiness! 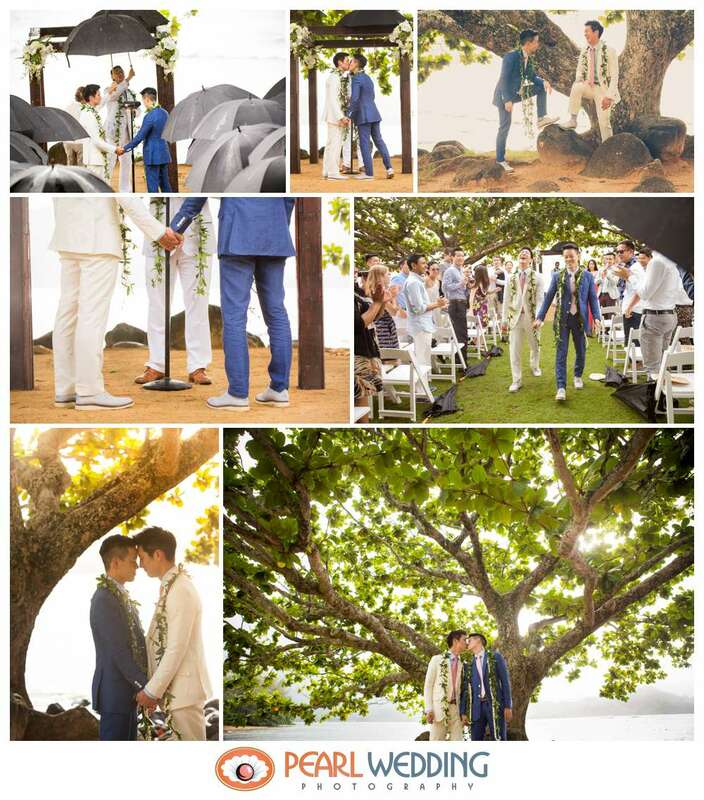 This is our first blog post of the year so we thought we would share these photos from our first gay wedding! We have always been a huge supporter of equal rights in every aspect of the word, so we were so happy that Justin and Tim were finally able to get married after eleven years of dating! We were unprepared for just how emotional this day would be. The grooms decided to get ready together and they had a blast dressing each other up in their matching pink ties. 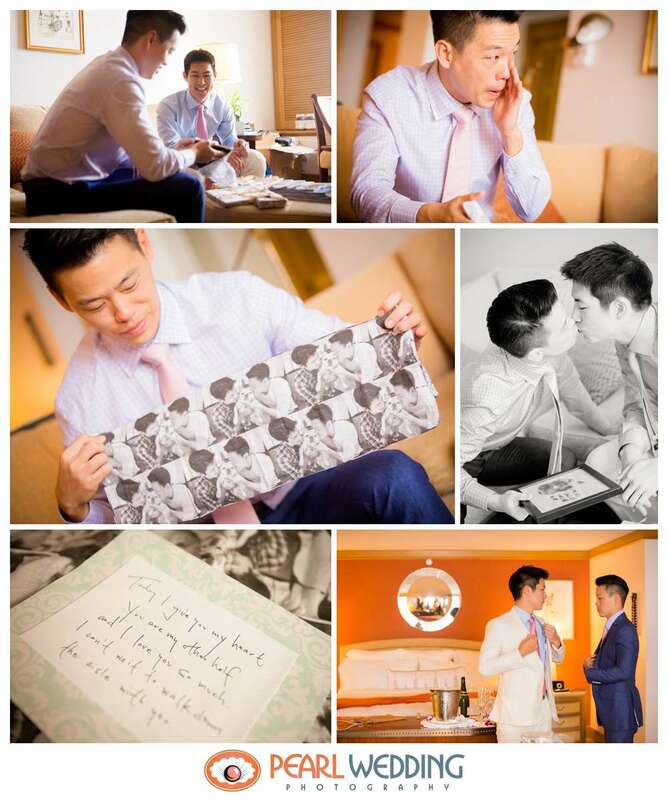 Justin gave his groom an extremely heartfelt gift that brought him to tears. 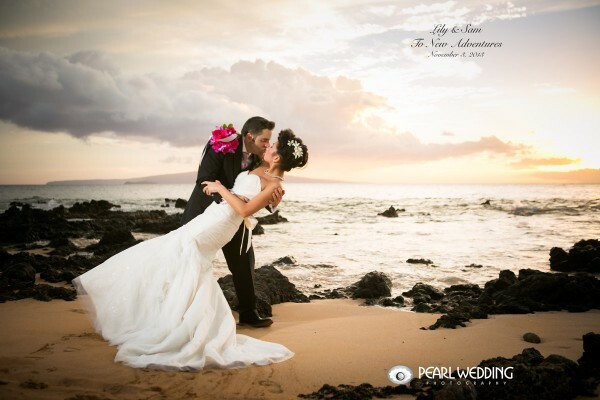 It was such a special moment and we were so happy to be able to capture that for them. 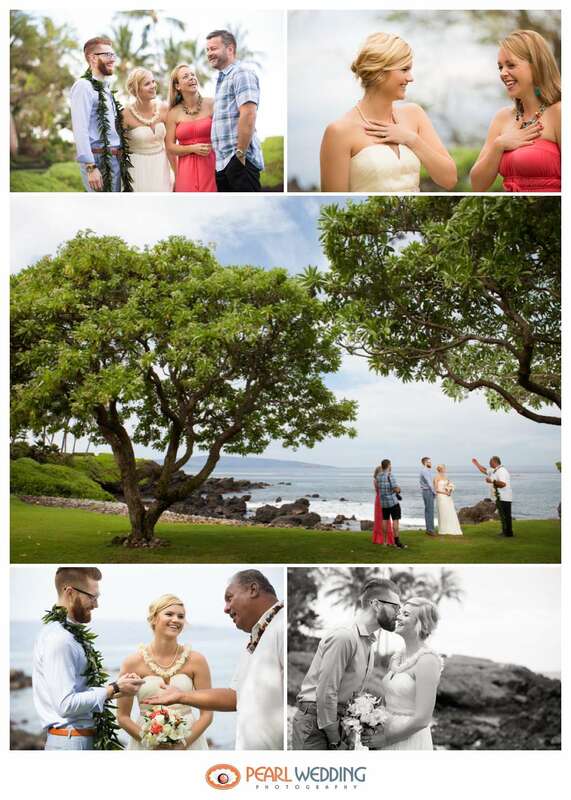 The wedding was held at the gorgeous St. Regis in Kauai and we fell in love with the location and the big beautiful trees surrounding the area. Everyone who attended the ceremony looked FANTASTIC. During their vows it started to sprinkle and it felt like a romantic movie. We had a little photo session with the grooms after the ceremony and they were SO fun to photograph. Everyone at the reception had an amazing time. Their friends and family’s speeches were the most important part of the night, they have such supportive people in their lives and it was beautiful to hear just how much they love and support Justin and Tim’s marriage. 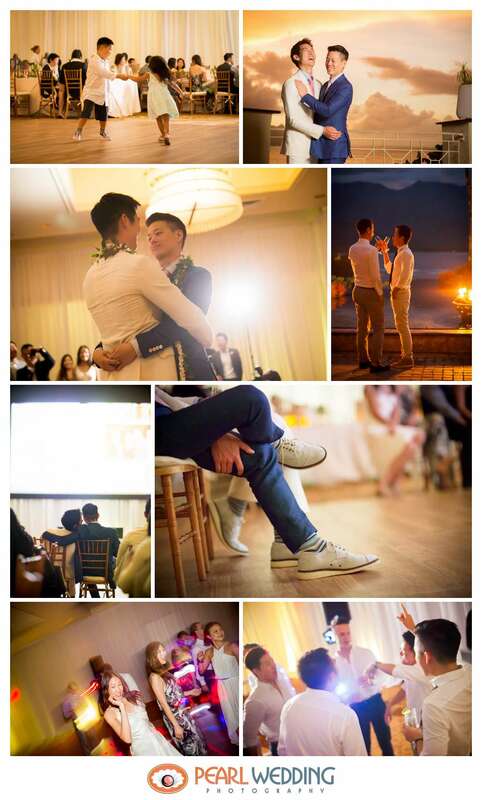 Justin and Tim shared a beautiful slideshow of their relationship that had everyone tearing up once again. We love their love story! Congrats Justin and Tim! Growing I remember all the photographs displayed on my grandparents wall. The graduations, group photos and my parents wedding. In this day of social media the place we normally have our images is on our Facebook Wall! The walls of our house might have decorations but we may be too busy with our lives to put up pictures of friends and family:) In fact, I have had many clients albums pass through my hands before making one from my own wedding. This is just a fact, I love albums and providing them for my clients. I know that the books will last and not only be a reminder of your wedding but show it all the future generations. Wishing you the best in Love, Life, Sand and Sunshine. When a bride and groom writes something like this, it just make my day and is something to write about!